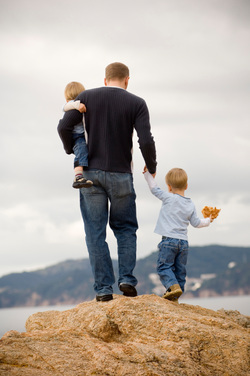 Thank you for visiting this website and for considering the attorneys at the Oklahoma Father's Parental Rights Law Center to help you with your legal representation. We are dedicated to the practice of law and will take great care in handling your case. If you decide you would like to retain legal services, please contact the office by phone at 405-752-1300 or e-mail to schedule an initial appointment. If you live out of state, a Legal Assistant will help you set up a telephone appointment. You will need to bring (or e-mail) case-specific information with you. The Legal Assistant will provide the instructions. We also ask that you fill out a client information form, which assists us in preparing necessary legal documents for your case. Please arrange for child care when you are to see your attorney. The Court does not approve of discussion of legal matters in front of children. It is also advisable not to involve children in the case since children are often under severe stress. Even very young children should not attend conferences with you. If someone else accompanies you to our office, it is advisable for them to wait in the lobby during our meeting. The things we discuss during our meetings are protected by the attorney-client privilege; however, that privilege can be lost if third parties are present when we meet. The privilege can also be lost if you discuss our meetings with anyone else. There is no charge for your initial thirty minute consultation. We require an initial deposit if you retain our office to provide legal services to you. We explain these during the initial interview. You are responsible for your attorney fees even though you may be seeking reimbursement from your spouse with an application for attorney fees at the conclusion of the case. Prior to any court hearings, you may have questions regarding your case. Please contact our Legal Assistant with your questions or concerns at any time. The Legal Assistant will monitor, receive, and respond to all phone calls and e-mails. If we are attending a Trial, Hearing, Deposition, Meeting, or Mediation, please provide any questions to the Legal Assistant. She will relay your question to us, and provide an answer as soon as possible. Please advise the Legal Assistant whether your call is an emergency or is time-sensitive.